I wore this outfit for my Fox 35 segment on Tuesday! I talked about cleaning out your closet - what to keep and what to toss. (You can watch the segment below, and see tons more videos on my YouTube Channel.) I just got the top this week and couldn't wait to wear it - with a statement necklace it feels very holiday to me - and right now this necklace is 50%-65% off when you claim the offer at the top of my FB page. Looking back I think a more wintery shoe like my black and gold pumps could've looked better with this - but thankfully, my feet weren't showing on TV. 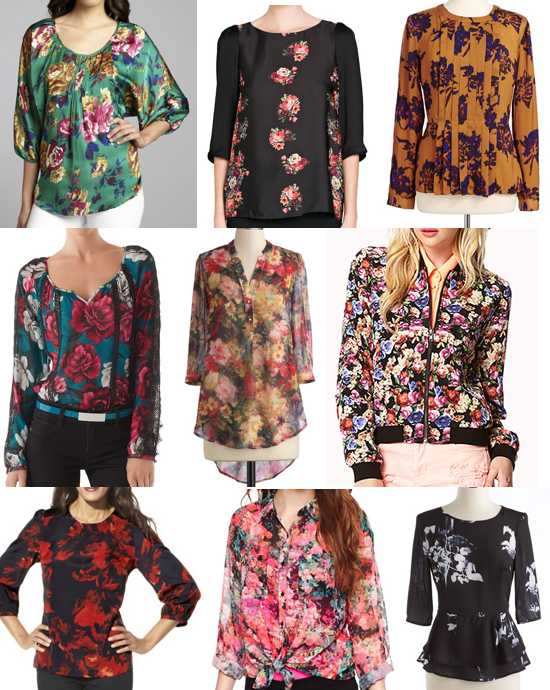 ;-) Would you wear florals for the holidays? How do you decide what to keep and what to toss?